Here’s the thing—I like my deodorant. I also like the fact that it is non-toxic, paraben, and aluminum free. In fact, I like it so much I just recently repurchased my second tube ON-LINE-PEOPLE and paid for TWO-DAY shipping on top of that. Who am I? That’s major. I’m telling you. After making the transition 11 months ago; I haven’t looked back since. Native deodorant, was recommended to me by a close friend, because I don’t know if you know this or not—but it can be a real headache to find a decent natural deodorant that actually works. So, when you do, you tend to shout it out from the roof tops—seriously. The wrong one, can be [for lack of a better expression] un-apologetically lethal to your social life, so buyer beware. But the right one, can make you forever wonder, “where have you been all of my life?” And believe me, I have tried both. Right now, I am content with my natural deodorant. Sure, do I wish that I would have gone with Coconut & Vanilla instead of Lavender & Rose the second time around? Perhaps, but it isn’t keeping me up at night. And in case you are wondering, this deodorant is not an antiperspirant. Therefor, I am naturally still sweating from time to time, (not unbearably mind you) but hey—this is pretty normal. The most important thing is that it controls odor, and my underarms don’t feel irritated or discolored after I have shaved. Regular use on clean skin is also HIGHLY stressed. Because I. Cannot. Stress. That. Enough. I have also read that during the transition period getting some activated charcoal and apple cider vinegar to apply under your arms on a weekly basis can help remove any remaining toxins that can cause build up and unwanted odor. But, that’s just my take. I also wanted to further my analysis on the matter at hand; what do other people think of the natural deodorant wave? About a week ago I held a poll on my Instagram stories asking two poignant and socially relevant questions: A) “Do you use natural deodorant?” And B) “What are your thoughts about natural deodorant?” The census was frankly unanimous, and the majority that participated admitted that, “no, they did not use natural deodorant.” And those that slid into my DM’s further explained their answers. “Natural is better for your body but doesn’t protect you from strong odors after workouts and such. I heard though that diet affects are perspiration so that might be a factor. 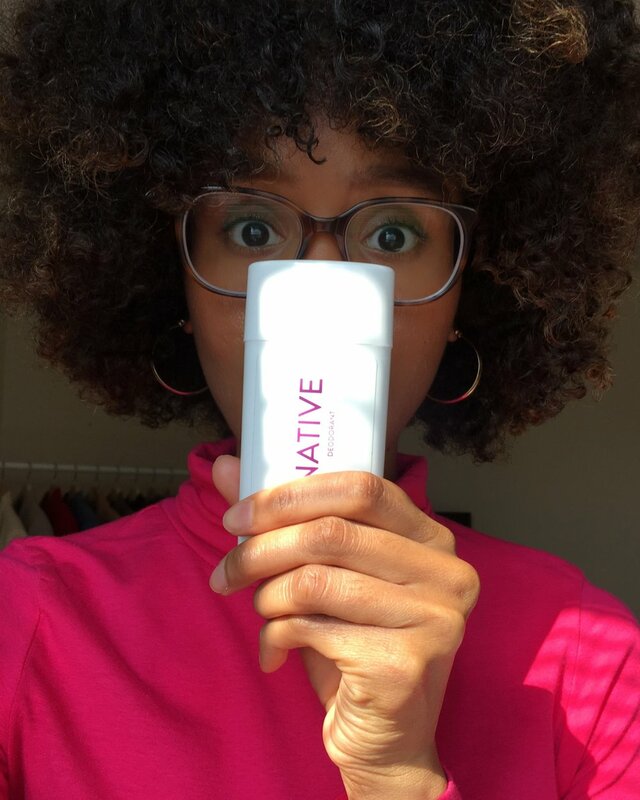 My friend does love her natural deodorant though.” – Marci A. “I think they’re great and would love to. They’re just not super accessible! And every brand isn’t the most cost efficient.” – Jordan D.
So, I leave you with this: what are your thoughts about natural deodorant? Are you a fan?